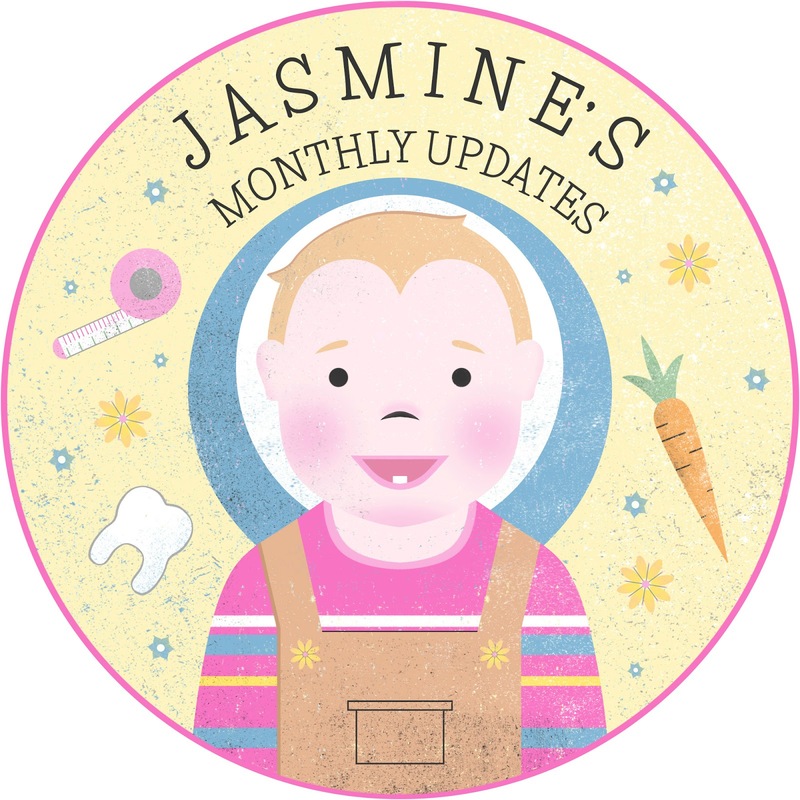 I’m a little late with Jasmine’s update post this month as we’ve had a busy couple of weeks. What with the wedding and our holiday in Devon – I decided to take a bit of a blogging break and simply enjoy the time with my husband (it still feels weird saying that) and my favourite little lady. I’ve not had Jasmine weighed since turned one-year-old but I may pop along to the weigh-in clinic this week as I have sneaking suspicion that Jasmine is on the cusp of being too big for her car seat so I really need to check! Some of the biggest changes this month have been sleep related. Up until this point Jasmine had always been a good sleeper so let me tell you, the following changes were a massive shock to the system for mummy and daddy! Shortly after turning 13 months old, Jasmine would cry at bedtimes and take up to an hour to settle which was totally out of character for her. She also started waking up very early in the morning at around 5-6am. Jasmine will quite often go without her afternoon nap although this tends to make her quite grouchy in the evening. If we’ve been particularly busy during the day then she might go down for a 30 minute snooze but now she generally will have a longer nap in the morning at around 10am which can range from anywhere between 30 minutes to over 2 hours. Very random! Jasmine finally dropped her afternoon bottle. She just stopped asking for it (in baby sign) so I replaced the bottle of milk with a beaker of water and a small snack such as a bread stick or piece of fruit. She’s still very much into most food but has started having ‘fussy days’ where she prefers to throw her food on the floor rather than eat it. This could be down to teething or just her way of trying to push my buttons. Either way, I try to ignore it, clear it up and carry on as normal – hopefully she’ll soon get bored of it! This month Jasmine has added a couple more signs to her baby signing vocabulary – “dog” and “fish”. I’ve been a bit lazy with signing over the last few weeks and I’ve noticed that as a result she’s also not using it as much so I need to get back to it. I’m hoping to start Stage 2 Sing and Sign classes in September. Jasmine’s cut two more teeth this month (which might have explained the bad sleep at the start of the month). Two top molars have partially come through (ouch!) and that means she now has a total of 10 teeth! Tried her first homegrown strawberries. Went on a day trip to Bristol Aquarium with Daddy. Has grown in confidence at her swimming lessons and will now happily jump into the water from the side of the pool. Did her first ‘proper’ painting. Started helping Mummy water the plants. Enjoyed a family BBQ and doted on her big cousin N the whole time. Attended a wedding for the first time (and screamed during the ceremony, natch). Likes: Sing & Sign DVD, Bunny, oranges, croissants, walking whilst holding mummy or daddy’s hand, Heidi, bath time, pasta, pulling things out of the cupboard, swings, animals, cuddles. Dislikes: not getting her own way, having her face and hands wiped, nappy changes. Oh Jasmine is adorable. That picture from the aquarium is gorgeous. I wish that I had taken Little Miss H to baby sign classes. The only toddler that I know who attended has the most amazing vocabulary and is even speaking in sentences at the age of two. And she will get there with her walking but she will do it in her own sweet time. Hugs Mrs H xxxx p.s. I am so glad that it is not just me who struggles emotionally when our little ones outgrow clothes. Thank you, Lucy. :) Stephen took the aquarium photo and I loved it as soon as he showed it to me – it totally captures her amazement and curiosity. Baby signing is fun but there are weeks when I just slip out of it, it’s quite hard to be consistent with it. Hopefully when we go back to doing classes it will give us both a bit of a boost. I really wish blogs had been about when mine were babies. What fun to do and how lovely it will be for her and you to look back on. A lovely post and blog.